Probably half our clients now come by the shop and choose their own slabs. 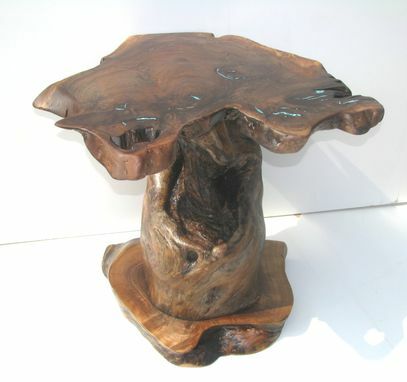 For her accent table, this client chose a walnut slab top, stump for it to stand on, and base that all came from the same walnut tree. Thus, the name "Trinity." Pretty cool. We have a generous supply of local hardwood slabs and welcome clients to browse and choose their own!